Date: Oct 26 2018, 6 p.m. - 10 p.m. It's time for monstrous fun at Monster Bash! 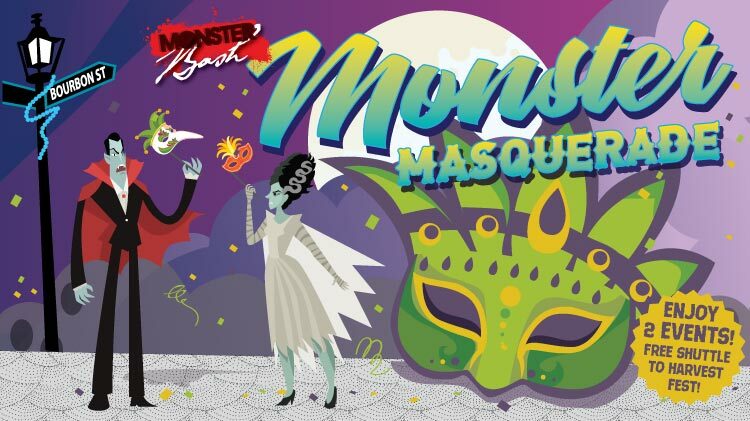 This year's theme is New Orleans style, "Monster Masquerade!" Come dressed with horrifying masks, superhero masks or fairy tale masks and enjoy terrifying fun! There will be inflatables, fun activities, crafts and more! The event wouldn't be complete without haunted houses!! Don't forget about the free shuttle rides taking you to and from Monster Bash and the Halloween Harvest Festival at Old Fort Bliss Replica!